Fire cider is a powerful drink that combines immune boosting herbs, roots, and peels steeped in vinegar. Fire Cider is made with apple cider vinegar, hot peppers, onions, garlic and other ingredients. The drink is antibacterial, antiviral, anti-inflammatory and stimulates the circulation. In this article, Debra shares her recipe for this old folk remedy. She includes some additional ingredients that add more medicinal properties to the cider. It takes about a month for the cider to “age.” After you make fire cider, take a tablespoon each day to boost you immune system. If you feel like you’re coming down with something, Debra shares an increased dosage. She also has suggestions about different ways to consume fire cider. Very nice recipe. This is a remedy that you want to make now and start using as the weather gets colder. 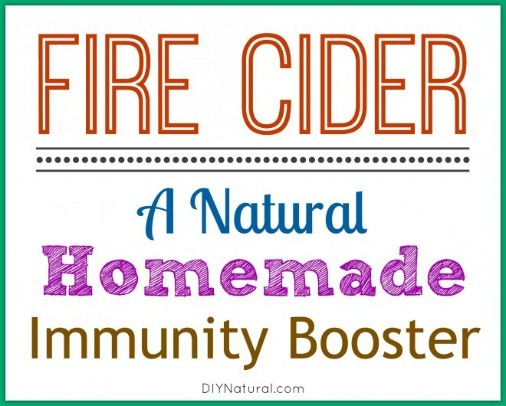 Click on the Homemade Fire Cider –a Natural Immunity Booster link below to see the complete recipe.